Thank you for attending the “It Matters to Me” event! We’re so appreciative of all of our sponsors, presenters for the event, and media coverage received during the event. We would like this page to be available to those who could attend as well as those who were unable to attend, to share information about Medicaid funding structure, and potential impact to the State of Indiana, as well as local communities and even individual families. If you were unable to attend the live event and would like to see a video, please check out the “Facebook Live” videos “It Matters to Me: Part 1” & “It Matters to Me: Part 2”. Thank you to Stone Belt for taking the video and sharing on their Facebook page. See the below for links to download with additional information and research on the impact of the U.S. House and Senate’s versions of the Health Care bill. 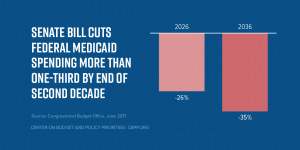 Additionally, states that expanded Medicaid will be unfairly penalized by any cut to Medicaid. Indiana expanded Medicaid in what’s known as the Healthy Indiana Plan or HiP 2.0. A per capita cap would severely limit Indiana’s ability to continue funding the Healthy Indiana Plan. The most devastating impact of per capita caps is the way the gap in funding increases over time. 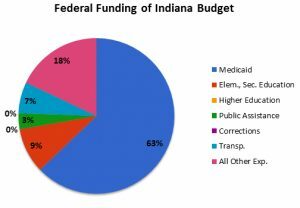 It’s not well known, that in Indiana, Medicaid funding also helps support critical early childhood and education services, including: home visiting programs, development services that help ensure school readiness, special education services in public schools, school based health car services, and even school nurses. Medicaid funding helps people who need long term care, like seniors and people with disabilities stay in their homes and communities and out of nursing facilities and institutions. Over 50% of all pregnancies in Indiana are covered by Medicaid. Medicaid is the primary source of funding for treatment services for people with mental illness and substance abuse disorders, and is essential to delivering care in rural areas. Indiana will lose over $8 Billion over the next 10 years if a model including Per Capita Caps is in place. Please see detailed research documents under the links section for sources and more detailed information. It is helpful to know a few definitions in understanding Per Capita Caps, how they work, and the funding model. Under current law, federal contributions to Medicaid increase with the number of people covered and the rise in enrollees’ health and long term care costs. The federal contributions under Medicaid follow state spending and are not capped annually or per person. In this model federal spending rises for people with greater health care needs and decreases for healthier people who don’t need as many services. In a “Per Capita Cap” model, there would be a “cap” on the total amount of federal spending. The amount provided from the federal government would be the same for each person in a category, regardless of a person’s actual health care costs or needs. The amount received would be based on the state’s average per capita spending for people in that category in the base year, growing at a specified rate over time. Base Spending – The amount of spending in a specified year that will determine rates in future years. So if states lose funding for Medicaid, they begin to face some really difficult choices. They would be facing a gap in their budget of let’s just say $1 Billion. There are only a few possible outcomes…the state could choose to raise taxes to cover the gap (which isn’t likely) or they could choose to reduce or eliminate certain services. How can they reduce costs for services? Only one of three ways really…reduce the number of people who qualify for services, reduce the amount of services approved for people who qualify, or lower the rates at which agencies (like LIFEDesigns) are reimbursed for services. None of these options look great for the people receiving services. In 2008, the last time rates were greatly reduced, many people lost their job as a result. People receiving services had to move into homes with multiples roommates rather than living by themselves, and stop receiving one on one support and share staff with others who need supports. This results in less individual time with each customer, less teaching moments for life skills, less focus on the person’s job goals, less of everything. So what can you do about all of this? Honestly, legislators want to hear your thoughts. Thanks to Cyndi Johnson for sharing her personal story to help us learn how we can have the greatest impact with legislators. (See her story in this Facebook Live video.) She has experienced everything because she decided to share her story. 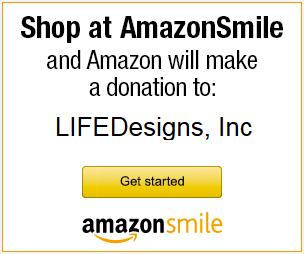 You can share your story too! Take a moment to write a letter to your senator (Indiana’s Senators are Todd Young and Joe Donnelly), write your U.S. Representative (in this area 9th District Trey Hollingsworth), write your governor (Indiana Governor Eric Holcomb), and share your personal story…Why does Medicaid matter to you? How has it helped you or your family member? Stories are very powerful, and it only takes one to change someone’s mind. Please contact us if you have further questions or would like to be involved in our policy committee. The Kaiser Family Foundation: What could a Medicaid Per Capita Cap mean for low income people on Medicare?